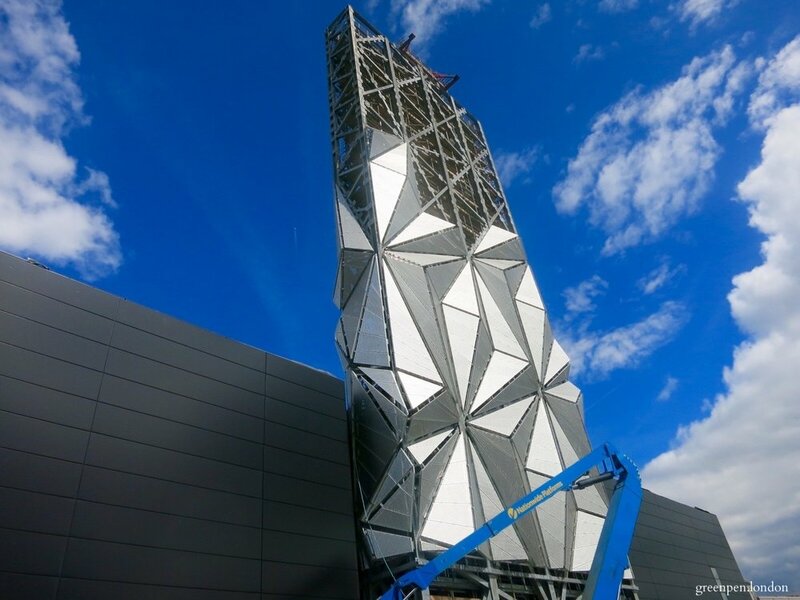 Greenwich Peninsula developer Knight Dragon has proposed a new Estate Service Centre for a site close to the District Energy Centre that is nearing completion on the southwest of the Peninsula. A planning application was submitted to Royal Borough of Greenwich in August 2016 and, if approved, work on the scheme designed by Northpoint Architects is expected to start in early 2017. Update: plans approved in November 2017. Proposals would create a central location for the management and maintenance of the development, and is to include a parcel depot centre to receive deliveries for residents prior to distribution across the development. The Estate Service Centre would manage the storage of residential waste, transported by a fleet of electric vehicles with trailers that collect waste from individual blocks. The provision of the Service Centre is expected to reduce noise and air pollution across the Peninsula. 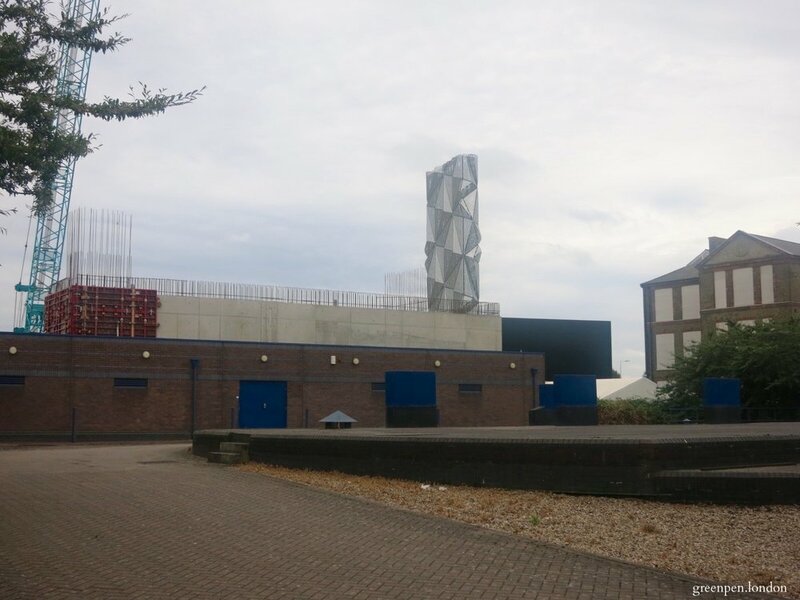 The proposed Service Centre buildings are to wrap around an Electricity Substation that was granted planning permission in March 2015 and is currently under construction by UK Power Networks. 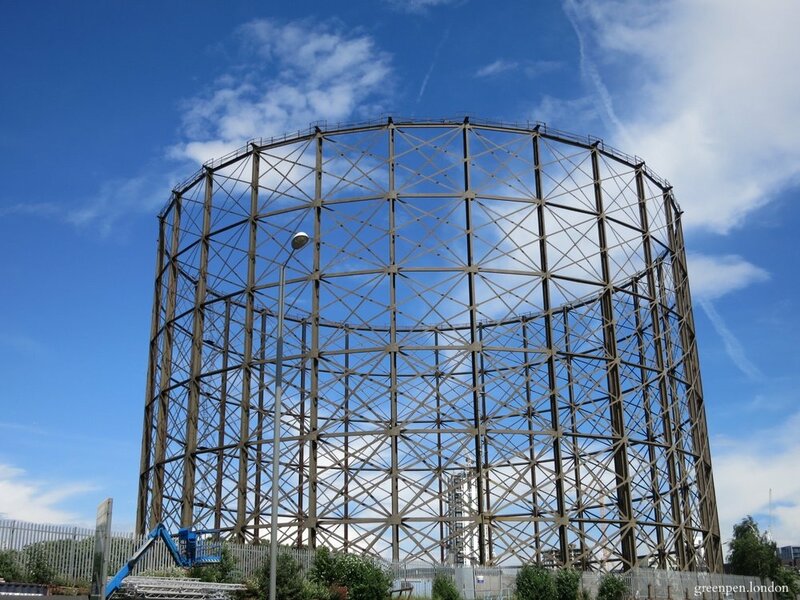 The 132/11kV Substation will provide electricity to the development, while the neighbouring Energy Centre provides hot water and space heating to buildings across the Greenwich Peninsula. 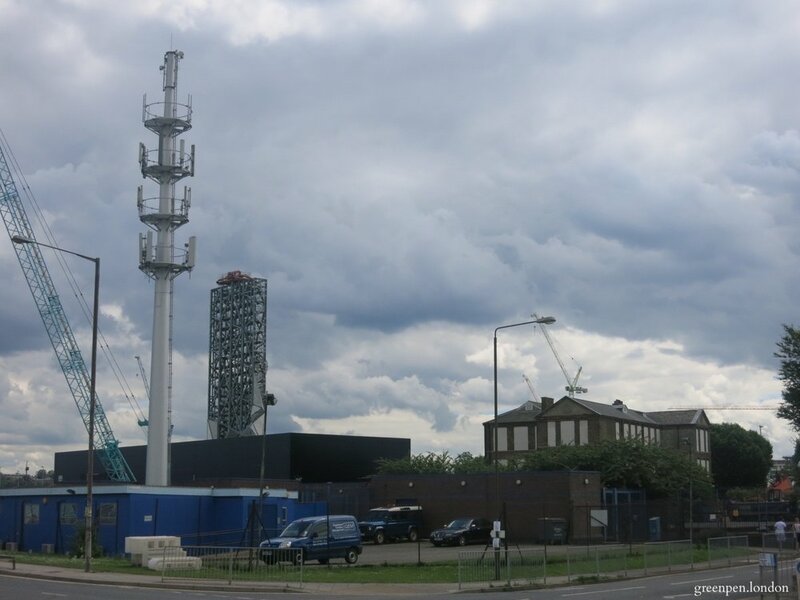 Infrastructure specialists and power engineers J. Murphy & Sons Ltd are the principal contractor for the substation, which will comprise of up to three transformers and a large switch room, with an underlying cable basement, set within one building. 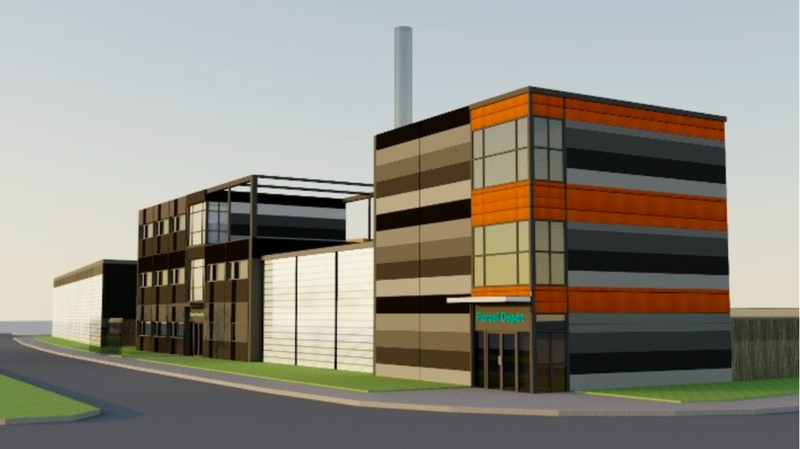 Planning permission was granted in April 2015 for the 2,600 square metre Low Carbon District Energy Centre designed by Architects C.F. 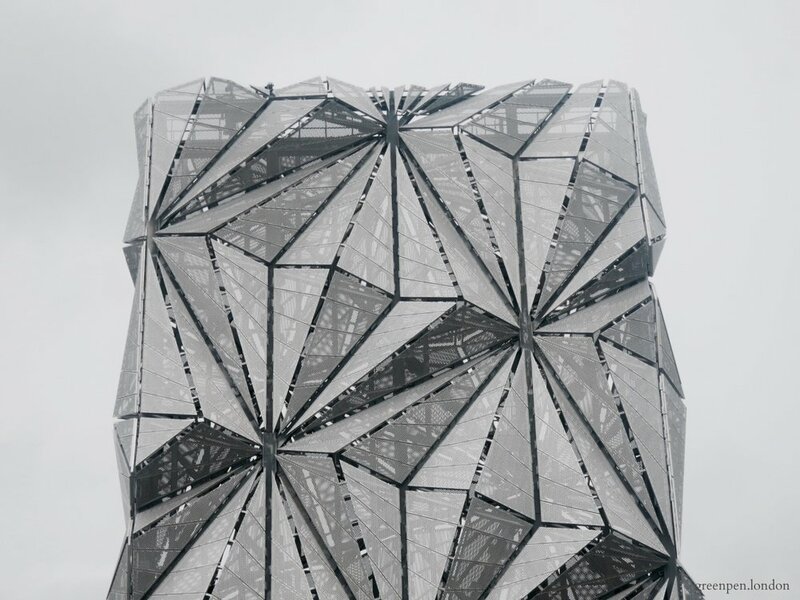 Møller for Plot M0401, which features a striking architectural flue stack designed by British artist Conrad Shawcross. 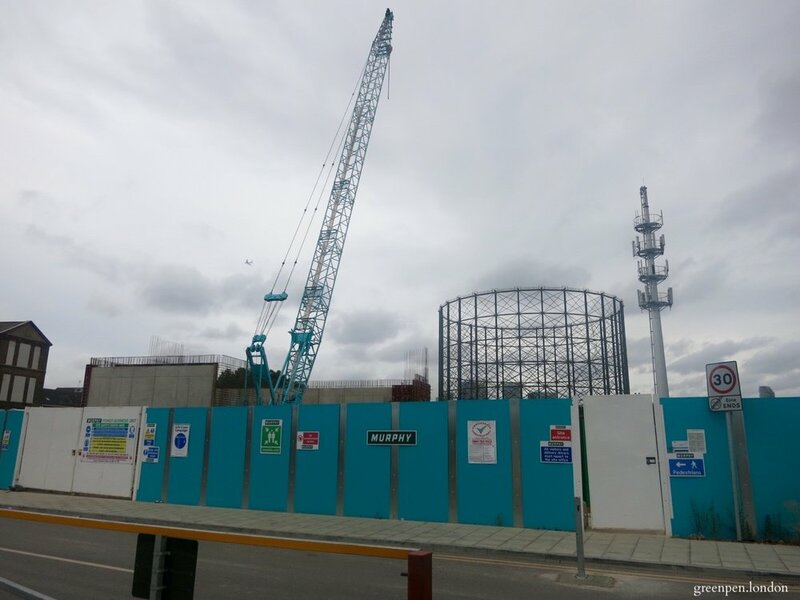 The site lies directly south a historic gas works site and Thames Water Plant on Boord Street. The Estate Service Centre is intended to support the development of thousands of new homes on the Peninsula. After taking on sole ownership of the development in November 2013, Knight Dragon subsequently secured planning permission for a revised Masterplan in December 2015. Some 2,800 homes are already complete or under construction in the Lower and Upper Riverside and new plans permit a further 12,768 homes over a 15-20 year timeframe. The proposed Service Centre is intended only to facilitate the first 8,289 homes constructed and is likely to be expanded in the future. A site-wide waste management strategy requires that a Facilities Management service be implemented by the Developer to manage the waste storage areas provided within each individual block. The Estate Service Centre will serve as the central waste consolidation area for household waste generated within the development (except for sites not owned by Knight Dragon). It will house waste compactors, green skips, organic waste bins, bins for small household electrical items, textiles and battery boxes. Refuse will be collected from the individual plots twice weekly and transported to the Service Centre, where Royal Borough of Greenwich's contractors will collect waste on a weekly basis, before transporting it to the ‘Reuse and Recycling Centre’ in Nathan Way, Thamesmead operated by Veolia. 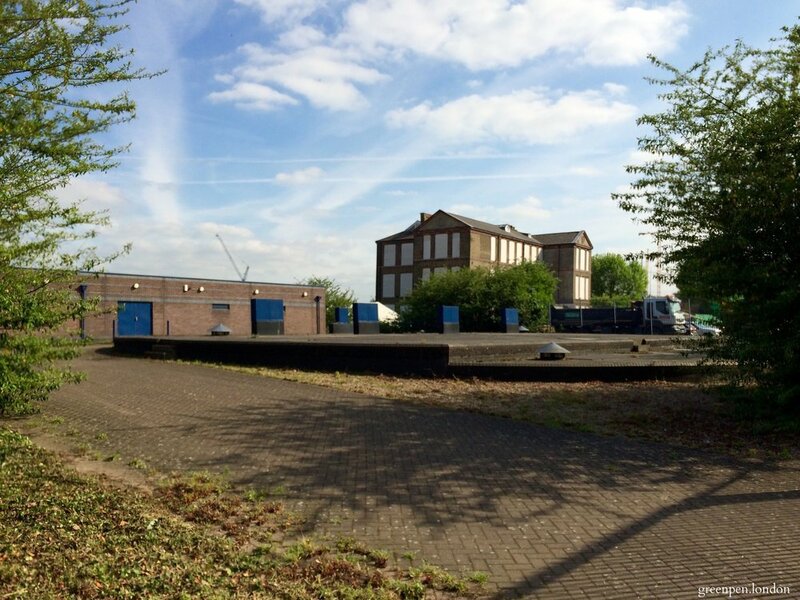 The proposals comprise of a three storey office building to the north of the plot that will house offices, a parcel depot and an external covered storage area, with vehicle access from Boord Street. 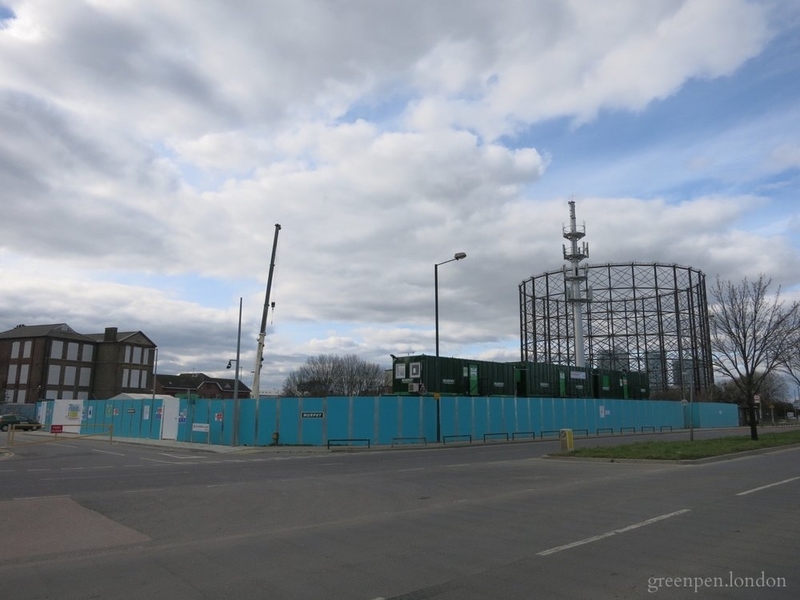 A single storey (double height) building to the south of the site is to house eight portable waste compactors for refuse, with vehicle access from Old School Close. The North Building is proposed to be of modular construction, which minimises on-site construction and facilitates the future adaptation or relocation of the building.